Troxel Helmets Home Testimonials Totally Unexpected! 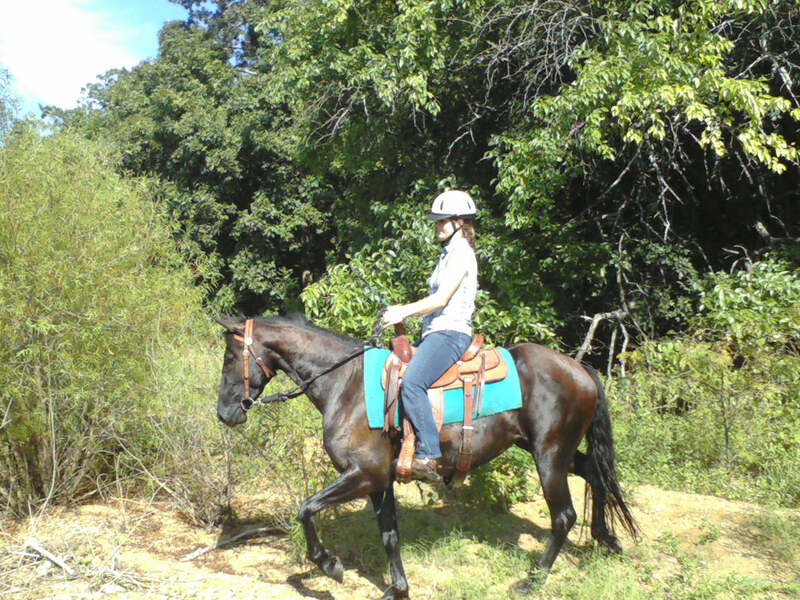 Last Sunday, August 14, 2011, I went for what was suppose to be a quick ride with my 16 year old daughter in our pasture. I have been riding my 4 year old Freisian/thoroughbred mare for over a year and consider myself an experienced rider. We decided to just trot around the barrels that were set up. Shekinah was not behaving so I decided to trot some figure eights to work with her. She unexpectedly went into a bucking frenzy which threw me way above the saddle, down and then up again. My daughter says that the horse was way up in the air and I lost my stirrups and went way above the saddle and then hit the ground. The horse nearly landed on me before running off into another pasture. I told my daughter that my back hurt and rolled up onto my hip and side then to a standing postition. I then went and retrieved my mare in the back pasture and came to the front yard by the road. My husband then returned home from work and was told about the fall. He brought me into the house and called our good friend who is a physician. They monitored me for 5 hours and noticed that I was not regaining my short term memory and decided that it was time to make a trip to the emergency room. We arrived around 8pm taking my helmet with us to show the doctor the place of impact. I had a CT scan that showed no bleeding or swelling. After examining me and seeing that my helmet was cracked 2 inches on the back bottom edge the doctor told my husband that it was the helmet that saved my life. It has been 5 days now and I am slowly recounting the details of the past week but still have not recounted aproximately 8 hours of the day of the accident. Having six beautiful children and a loving husband, I am very grateful for wearing my Dakota Troxel helmet, something that I only began to do since riding my young mare. I am on this website looking for my next helmet as I have 25 days to get back in the saddle and I won't be doing so without wearing another Troxel helmet! Thank you Troxel!